The Glendale/Foothill Communities CROP Hunger Walk is an interfaith 5K walk through the city of Glendale, to raise awareness of local, national and international food needs, and to raise money to help alleviate hunger. This walk, which we take on a Sunday afternoon in the spring, gives us the opportunity to participate with congregants of many faiths from the Glendale area. 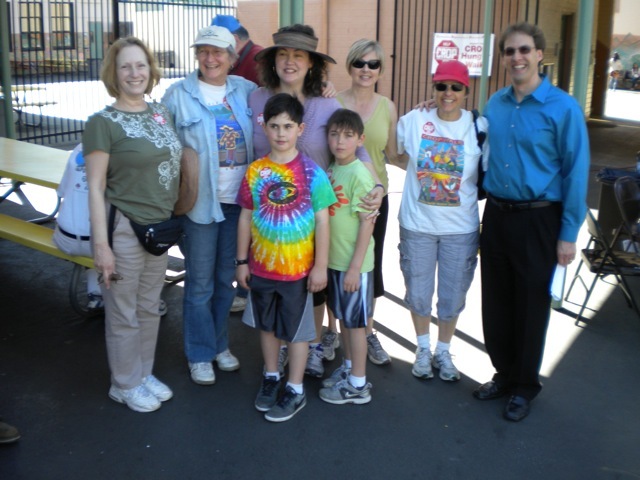 Our coordinator provides pledge envelopes and we also can use their online site to sign up as members of the Temple Sinai of Glendale walking team or to pledge support for the team or for individuals. To learn about our participation, contact Maggie Freed mwfreed@gmail.com 323.527.7989.